My 8 reasons why Ecwid is the right choice for your business are that Ecwid is affordable, hosted, scalable and powerful. Ecwid is quick to setup, they offer a starter site so you can sell online even if you don’t have a website. Ecwid is omnichanne and feature packed, offering stellar support. Keep reading for the full Ecwid Review. Ecwid is affordable. You can sign up for free and try the forever free plan and they never take any commission on your sales. They also offer transparent and affordable pricing on all paid plans. Learn more about Ecwid plans and pricing later on in this article. Ecwid is a hosted solution they deal with all of the server back-end stuff. It’s great not having to deal with all of that manually, it’s a full-time job in and of itself. Ecwid takes care of servers and makes sure that your store is up and running at all times, and that your shopping cart is secure. 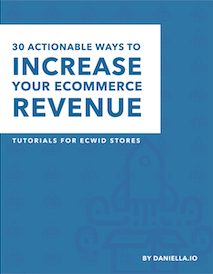 Ecwid it is a scalable and powerful solution.I’ve converted a number of customers from WooCommerce to Ecwid and their greatest fear was that their site would break. This is because with WooCommerce they got error messages and their site was down if they had high peaks and traffic. That is not an issue with Ecwid. Some of my customers were on the equivalent of Shark Tank here in Quebec, and they had a high peak in traffic the night that the show was aired. That did not make their website crash, their store was up and running and they made a bunch of new sales. My clients are not programmers they are small business owners they are marketers entrepreneurs artists and non profit members and all they want is their store to be up and running at all times. Choose the right technology that is scalable like Ecwid early in the game. Five minutes setup. On my youtube channel I have a video where I show how to make it an Ecwid store in five minutes. Ecwid has eliminated so much of the heavy work. It’s super easy to open your online store and get selling now. How long would that have taken just 10 years ago? Ecwid default starter site offers you a website with no need for hosting, no need for thieves and no need for a domain name. Selling now Ecwid is an omni-channel so it allows you to sell in multiple places online at the same time. All of your orders will be regrouped and synced to one seller control panel. Ecwid also integrates with various platforms including social media platforms like Facebook and Instagram. You can sell on marketplaces like Amazon and eBay. Ecwid has a unique feature that allows you to integrate any website! That represents a huge business opportunity. Ecwid includes a bunch of powerful automations and is feature packed they offer abandoned cart automations automatic tax calculations and email messaging. You can also offer coupon codes self downloadable goods and integrate with POS systems. Ecwid offers stellar support feel free to check out their knowledge base. You can also contact Ecwid by email chat and by phone and paid plans and their whole team is very responsive and helpful also offers custom development services in case you need it. Ecwid offers an incredible user experience may that be in the backend, so in your seller control panel, or in the front end on your website. Their sites are modern and offer optimized checkout processes for your customers. Yeah, But is Ecwid Really Right for Me? Take the quiz below to know if Ecwid eCommerce is truly the right solution for your business needs. How Easy is it For You to Learn New Technology? Where Would You Like to Embed Your Store? What CMS platform would you like to use to sell your products online? 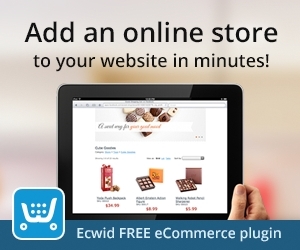 Ecwid is an affordable, hosted, scalable and powerful eCommerce solution. Ecwid is quick to setup, they offer a starter site so you can sell online even if you don’t have a website. Ecwid is omnichanne and feature packed, offering stellar support. Magento is a php platform that is best for programmers. This is a good solution for you if you can code in php and have advanced programming skills. Shopify is the most well known eCommerce solution. WooCommerce integrates WordPress and can allow you to sell on some social media accounts. 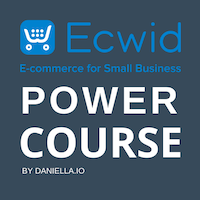 Get the Ecwid eCommerce Power Course learn how to sell using Ecwid, quickly and easily! For an in-depth review of Ecwid pricing, read the article 7 Key Things to Consider About Ecwid Pricing Click on the button below to learn more. Contrary to Shopify, Ecwid has a forever free plan, no need to enter a credit card. That plan is totally free and allows you to use Ecwid for no charge for up to 10 products and 2 categories. The $15 per month Venture plan covers every small business’s needs allowing you to use apps and sell up to 100 products. The $35 per month Business plan is much more robust with incredible automations allowing you to sell up to 2500 products. The $99 per month Unlimited plan includes 12 hours custom development and a custom mobile app. Watch the video above to learn about key differences between Ecwid and WooCommerce. Doing the same with Ecwid, is Free (for up to 10 products). You can buy your domain name and install WordPress if you want. But instead of using Woocommerce, you could install the Ecwid WordPress plugin! Your SSL is included in this case. It is much easier to work with an Ecwid store backend than a Woocommerce backend so you won’t have to hire a programmer! You can also contact Ecwid directly if you have any questions, they are always there to lend a hand. No need to install updates or do any backups either. Ecwid is an SaaS (software as a service) meaning it is continually being improved and updated by a hard working, dedicated team. With a free Ecwid account, you will get a mobile optimized shop in which you can add up to ten products and two categories. Use it to sell anywhere you wish online without having to switch between multiple backend dashboards. The following sections are an overview of some of the key features available with a free account. Ecwid is an incredible sales platform for anyone with little programming knowledge or a small eCommerce budget looking for a professional store. Ecwid will save you a ton of money. Ecwid translates into over 50 languages in the front-end (website), and over 10 languages in the back-end (seller Control Panel). Ecwid is 100% responsive on desktop and mobile. Ecwid is SSL protected, even for free stores. Easy easily integrates Google Analytics. All you have to do is enter your Analytics account number and you are done! Ecwid accepts over 55 international payment methods including Square, PayPal (Standard, Advanced, Express Checkout, Payflow Link, Payments Pro Hosted), Stripe, Authorize.Net SIM, Chase, 2Checkout, First Data Global Gateway e4, Payeezy, Allied Wallet, American Express, Bancomer/eGlobal, Beanstream (Hosted Payment Form), BitPay, Boleto Online, Checkout Finland Oy, CoinPayments, Dwolla, eWAY (Shared Payments CVN / “Hosted Payment” page), iDEAL (via Mollie), IntellectMoney, iPay88, iPay88 Philippines, iPayment, MOLPay, Moneris eSELECTplus (Hosted Paypage), MultiSafepay (iDEAL, credit cards, Giropay, DIRECTebanking, etc), Network Merchants, Nochex, PagSeguro UOL, PayFast, PayJunction, PayKeeper, PayLeap, PayOnline, PaySto, PaySera, Paytrail (former Suomen Verkkomaksut Oy), PayU Money, PayUbiz, PayU Russia, QIWI, Realex Payments/Global Iris, Robokassa (Webmoney, Yandex.Money, etc), Sage Exchange, SagePay Form (Sage Pay Go), Sberbank, Sepa, Tinkoff Payments, Tpay.com, TransFirst Transaction Express, TSYS, Virtual Cart Services, WalletOne, Worldpay Business Gateway, Worldpay Online Payments, and Yandex.Kassa. Ecwid shipping options are very easy to setup. Ecwid offers over 5 automated shipping methods including UPS, USPS, Fedex, and Canada Post. You can easily configure local pickup, free shipping options or custom tables. You can drop ship with Ecwid. Ecwid offers drop shipping with Printful, Doba Dropshipping and Dropshipp.io among others. Ecwid offers a quick and automated with various email notifications that you can customize (HTML editor). Email notifications include order confirmation, order status changed, order shipped, successful registration, password reminder, download e-goods (available in Venture accounts and higher) and other admin notifications. Ecwid offers a totally free version of their product. You can therefore open an Ecwid store for free. This is great if you have less than 10 products and 2 categories! Their starter site is included in the free version of Ecwid so you can make a website with no need for hosting or a domain name. The Ecwid Venture Plan Costs 15$ a month and includes some incredible features making it the plan with the highest value for small business looking to increase their online revenue. The free version more than does the job but if you wish to offer coupon codes, use Stripe, view abandoned carts, offer downloadable products, sell on other marketplaces or benefit from their live chat for extra help, then you need a paid account. Another awesome feature in the venture plan is the ability to offer discount coupon codes. Offering coupon codes os great way to reward loyal customers, to encourage action or to encourage offline buyers to purchase online for example. To create a discount coupon, head over to the Promotions tab and click on Discount Coupons. Click on New Coupon and start adding your offer. Choose the name of your coupon and the code. You can offer a percentage discount or a currency value. Click on no limits for an extensive amount of extra options that will allow you to refine for whom your discount code is available, which products or categories it is applicable on and for how long. You may also chose to limit the use of your coupon code by product or by category, and this for all customers or repeat customers only. You may have noticed you can sell downloadable products with any paid plan in Ecwid. You could sell eBooks, your own icons, logos, templates, bits of code, software, photos, music, video files, video games and customizable products. Pretty much sell anything you can download! Click on the Files tab when creating a product in Ecwid and upload your downloadable product. Your client will automatically receive their product once their payment is sent to you. An Ecwid business plan currently costs 35$ per month and includes features that can help your Ecwid store gain even more traction. This plan has the highest value for small or medium sized business looking to increase their offline exposure. On top of all the features in the Venture plan, you can enjoy selling on other marketplaces, offering wholesale pricing to customer groups. The order editor allows users to update existing orders by editing the customer’s details (name, email address) and changing SKU numbers for example. You can also delete discounts, change shipping and tax options. You can also add items to your clients. A few other awesome business plan features include the ability to edit already placed orders, inventory tracking and phone support. One of the Business plan’s top features is the ability to automatically send notifications for abandoned carts 2h after the customer abandoned them. An Ecwid unlimited plan currently costs 99$ per month. This offer goes far beyond small business needs and is mostly interesting for medium to larger sized companies looking for high-end customizations. As the name of the plan suggests, your business can upload an unlimited amount of products to Ecwid and sell them in multiple places across the web. The top features of this offer are the Square integrations and custom store apps. This offer also includes 12h of custom development. Don’t miss out on these incredible opportunities that you can enjoy by having a paid Ecwid account. This Ecwid review demonstrates that Ecwid is a powerful, free e-commerce platform that can be set up in less than five minutes. 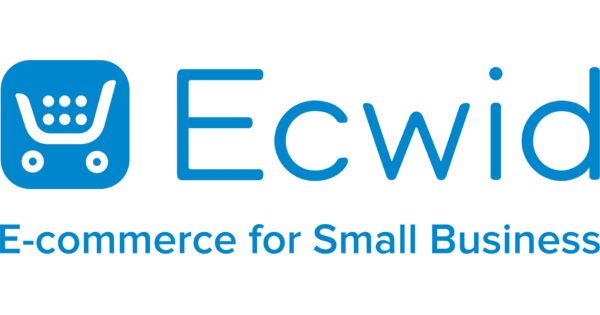 Ecwid is especially ideal for small businesses needing to maintain their stores quickly and easily and who do not wish to invest in expensive, overly-powerful solutions to sell online.